Severe deforestation is one of the underlying causes of poverty in Haiti. Photo by Abbie Trayler-Smith/Oxfam. The earth was still shaking in Haiti when the questions started. Among the toughest and most important: Just why is Haiti the poorest country in the western hemisphere? Economist Tyler Cowen offers a few theories in his blog Marginal Revolution. (Thanks to Yale economist Chris Blattman for the reference.) Cowen proposes the historic (premature independence), financial (huge debt to France that took 100 years to pay off following the revolution), agricultural (ways of growing coffee and sugar cane). And of course, there is the political (the Duvalier clan wrecked Haiti). Cowen concludes that he is not particularly satisfied with any of these reasons. As the weeks have gone by, there has been more and more revealing analysis of this question in the media. Other reasons for poverty in Haiti include macroeconomic decisions: As Haiti expert Bob Maguire pointed out on National Public Radio last week, the US and other countries encouraged Haiti to build factories, but did not invest in agriculture and education at the same time. This attempt at the “Taiwanization” of Haiti—as Maguire calls it—failed. 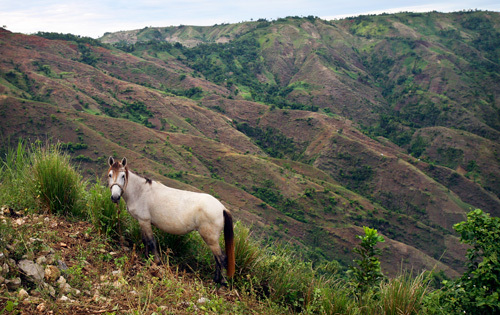 Environmental degradation in Haiti is also fueling poverty. Most poor people in the country burn charcoal for fuel, and the result is that Haiti is now 98 percent deforested. This has increased the island’s vulnerability to flooding in tropical storms, has hastened the erosion of good soil, which in turn means that the land is not as good for farming. It’s a lose, lose, lose situation. Many of us are now thinking about the reconstruction and long-term development of Haiti. We’re all looking for the right answers about how to do this, so Haiti can break itself out of some of these poverty traps that have caused so much suffering. We need a clear-eyed analysis of what has failed in the past if we are to help Haiti get it right this time. So, what are we overlooking here, and what else should we be reading? Let’s hear your suggestions. Because the minute you start to help them, then you hear about “sovereignty”, that the government there has a right to dictate “choice”. So then you have all this backwash that prevents anything from being done. Hopefully at least with this event, this biggest of shocks, the government will have the sense to step aside and let the world help them. From the git go, just letting them build those structures the way they did in Port au Prince, was just ridiculous. As many people have said in the past, just an accident waiting to happen. I’m sure with the suffering there will be some changes, but what a price to pay to just see the obvious. Haiti needs an honest, compassionate government who is really interested in helping the people, not just double talk from politicians who can only do so much. That’s obvious. They can’t make money out of Agriculture and Education. THERE ARE MANY DIFFERENT REASONS HAITI IS POOR. WHERE TO START IS THE QUESTION. GOVERMENT IS MAIN CAUSE, CORRUPTION IS EVERY WHERE. GANGS, MILITARY, AND LAW MAKERS. DOES HATIANS UNDERSTAND THAT THEIR WAY OF LIFE CAN BE CHANGE? THOSE THAT DO A PROBALY AFRAID TO, KNOWING CHANGE WILL BRING HARM. EVERYONE ASK WHAT IS THE CAUSE, MANY HAITIANS ALRAEDY KNOW THE ANSWER TO THAT ASK THEM WHAT THEY WANT TO DO TO CHANGE THEIR LIFE AND WHAT THEY THINK IS BEST FOR THEM. Why Is Haiti Growing Mangoes When It Needs Rice? Above Port-au-Prince, in the terraced mountains of Kenscoff, 34-year-old Gerard Gilbert is tending his farm, a single acre of land on which he grows lettuce. Gilbert has been farming since he was 12 years old using the techniques his father taught him. Agriculture is his livelihood, as it is for two out of every three Haitians, but these days it barely provides enough to live on. Last year, a Haitian agronomist trained and paid by the United States Agency for International Development visited Gilbert’s farm and taught him how to grow bigger heads of lettuce. “I used to plant the seeds very near to each other,” Gilbert explained. “It was the traditional way to do it.” The agronomist gave the seeds more space and helped Gilbert create an irrigation system to use during the dry season. Since then, when Gilbert takes his baskets of lettuce to the local market, he takes home $5 per basket rather than the old $2.50. The program Gilbert participated in is called WINNER, and it is USAID’s flagship project—a five-year, $100 million initiative intended to revitalize Haiti’s agriculture sector. Following a comprehensive review of its policies in Haiti in 2009, the agency has made agriculture one of its four pillars of development, alongside health, security, and energy. For 2011 alone, the agency has requested approximately $85 million from Congress for agriculture development. Talking to Gilbert and some of the 1,500 participating farmers who are seeing a 75 percent increase in their crop yields, WINNER looks like a good use of U.S. taxpayers’ money. But there are many who say USAID’s programs will not only fail to create wealth for Haiti’s farmers; it will also keep them poor. “It’s not a real solution. It’s never been a real solution. What [USAID] is doing is putting a Band-Aid on a cancer patient,” said Regine Barjon, the CEO of Biotech Solutions and a member of the Haitian-American Chamber of Commerce. According to critics, USAID’s initiatives, which focus on crops such as mangoes, lettuce, cabbage, and peppers, ignore a problematic reality. Haiti spends 80 percent of its export earnings to import staple foods like rice and sugar that the country—with 700,000 hectares of underutilized land and millions of farmers—could be growing itself. But U.S. agriculture subsidies and aid policies have flooded Haiti with American food for three decades, sinking the local economy and leaving Haiti one of the most food-insecure countries in the world. In recent years, organizations such as Oxfam and the Chicago Council on Global Affairs have called for a repeal of the Bumpers Amendment, and in 2010, the Senate Foreign Relations Committee tried to include legislation in the Foreign Relations Authorization Act that would soften the law and make exceptions for the world’s most food-insecure countries. The move met with opposition from rice-lobby groups, as well as from Sens. Blanche Lincoln, D-Ark., and Saxby Chambliss, R-Ga., members of the Senate Agriculture Committee. The changes were not included in the final bill. Haiti’s USAID country director, Carleene Dei, said that the agency’s agriculture programs have had many flaws over the last two decades. “We’ve made massive mistakes, and thank God we did. Because right now we know what we are doing, we know what works, we really do.” Dei outlined the agency’s goal of focusing on watershed protection and post-harvest care of produce, in order to bring it to markets, as well as the WINNER project’s success in increasing crop yields. “This is not rocket science, by the way,” she said. But Philip Auerswald called the agency’s persistent focus on small-scale farms and increased crop yields a waste of money. “There’s a long history, all over the world, of investing in projects to build farmers’ capabilities, to produce higher-quality output,” said Auerswald. “The problem is, if there is no market for that output, all you’re doing is creating frustrated farmers with higher output who are just as poor as when they started.” In Auerswald’s opinion, even as the agency attempts a major improvement of its policies in Haiti, it’s missing an opportunity to drive development by facilitating market opportunities for Haiti’s farmers. “What if anytime you went into Whole Foods, you saw Haitian organic brown rice?” he asked. All of these accounts understate the role of politics and sovereignty violations. The extent to which Haiti’s government can be blamed for poor investment choices, failure to set national priorities, etc., has to be mitigated by the extent to which it did not have the autonomy to make those determinations. Our organization, the Haiti Justice Alliance, covered this in some detail in this 20 minute backgrounder that begins by asking, “Why is Haiti poor?” and has a specific case study on deforestation. 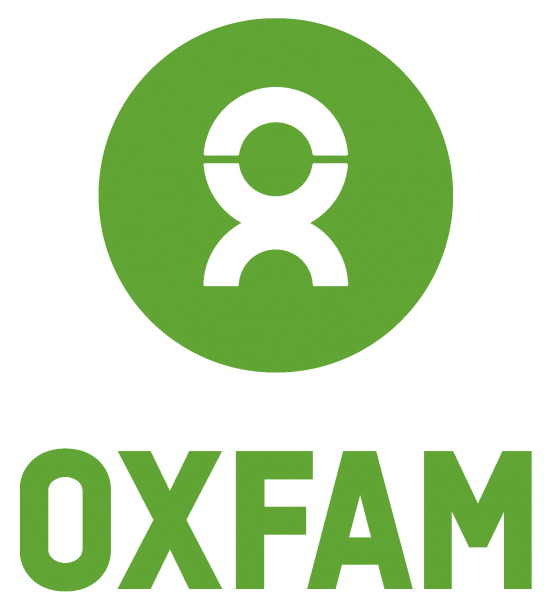 Chris Hufstader has been working for Oxfam America since 1998. 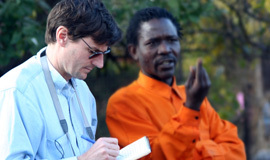 He writes about Oxfam America’s programs in West Africa, Asia, and Latin America.